Business Card Maker Software provides complete solution to create professional business cards in different shapes and size as per your need. Business card designer program provides wide variety of inbuilt templates to design commercial visiting cards, membership cards and many more. Above screenshot display Buisness Card designed using DRPU Business Card Maker Software. Software used to design elegant business cards for your Home or Office desk. Design Business visiting card using image designing tools including Line, Pencil, Ellipse, Text, Rectangle, Picture, Barcode, Arc, Triangle and Star objects. 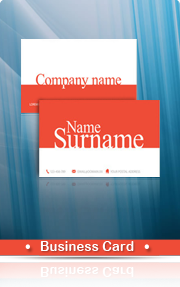 Provide option to add WordArt text-styling feature to the business card. 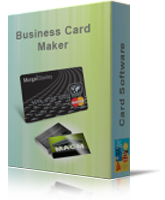 Software with Inbuilt print settings to print designed business cards instantly. Provide option to send designed business cards on specified email address using inbuilt email setting. 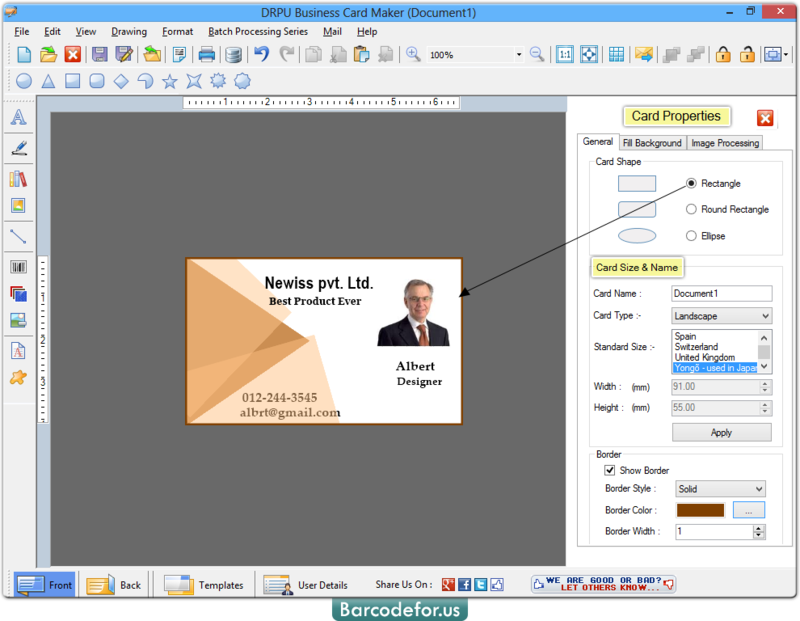 Design and create business cards with advance photo addition feature option. Software provides option to add text messages using message templates.